Men's traditional German knee socks in natural brown. 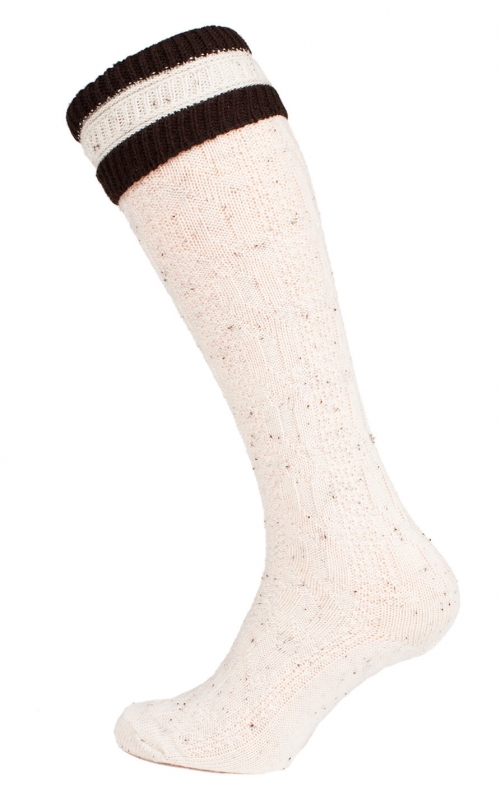 These authentic German knee socks are crafted from a soft wool blend yarn in a natural light brown shade. With an understated cable pattern and dark brown striped tops, these versatile socks can be worn at the knee or casually rolled down. Perfect for adding the finishing touch to an outfit for Oktoberfest.